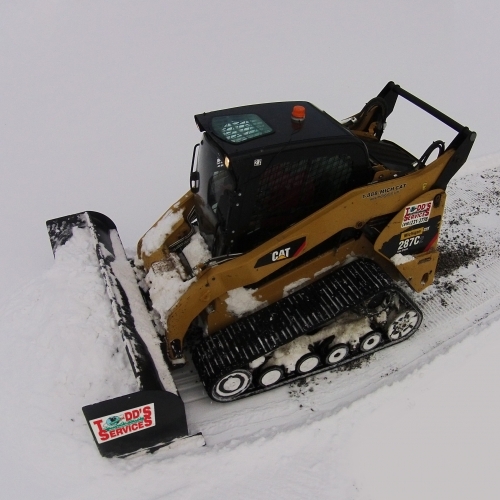 Snow removal in the Howell area can honestly be a challenging effort. 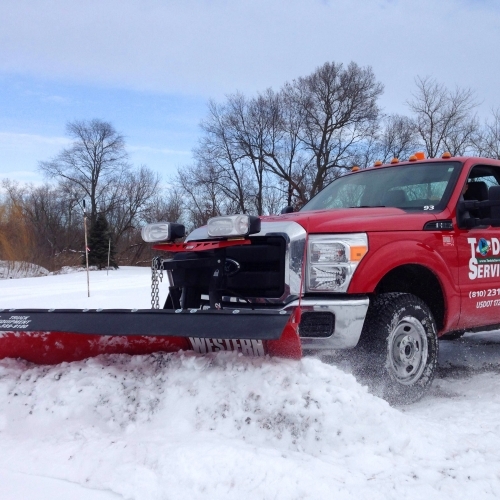 Our company is readier than ever to provide you and your commercial location with the attention that it really needs during the rough Michigan winter months. We can offer you and everyone at your company with the peace of mind that you will be comfortable knowing that every time you arrive at work in the morning the parking lot and all of the walkways will be completely cleared and fully salted. 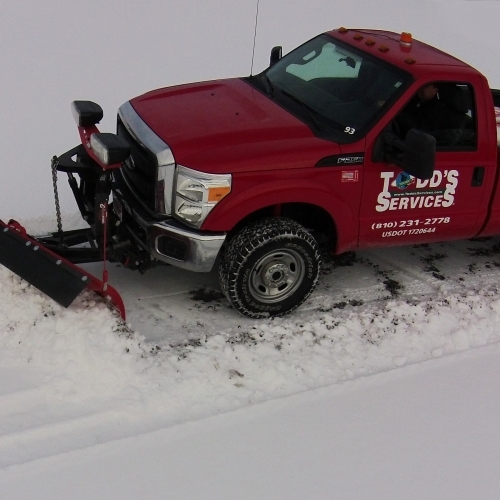 Feel free to request an online quote from us or give us a call today and a member of our professionally trained staff will be ready to talk with you about our commercial snow removal services in Howell Michigan. Outstanding service at a great value. They have been very attentive, and any time I need something addressed, they are right there. I would highly recommend Todd's Services." Sidewalks are clear and salted in the winter, and the grass and landscape is tidy in the spring/summer. Todd's gives great service & everything you would expect from a landscape company!" ★★★★★ - Erika, Progenity, Inc.